Tasmania’s North West has historical towns and stunning national parks, including the Rocky Cape National Park and the Walls of Jerusalem NP. 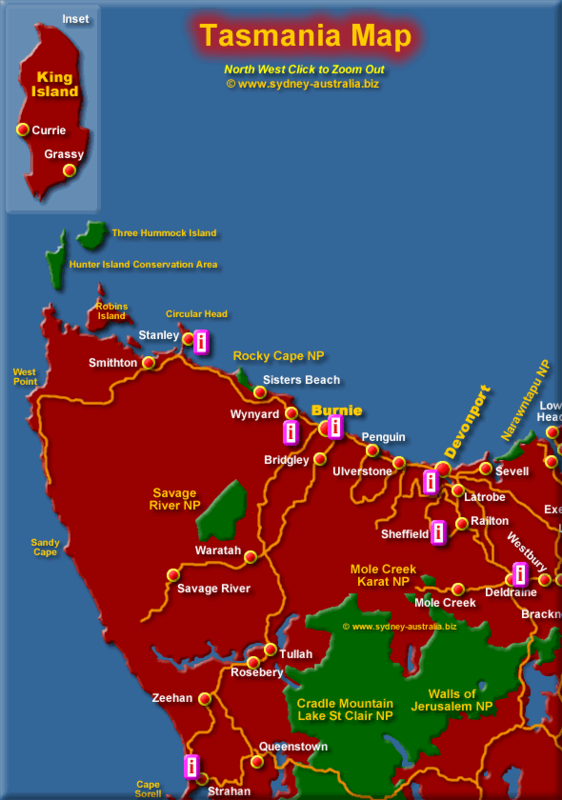 Find towns on the map by name Tasmania Tourist Spots. Next Picture: North East Tasmania Map - North East Tasmania Map. Previous Picture: South West Tasmania Map - South West Tasmania Map. Accommodation in Tasmania includes hotels, motels, luxury resorts, caravan parks, campsites, bed & breakfasts and backpackers hostels.